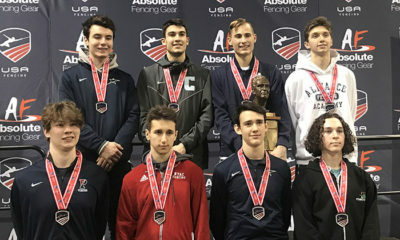 SoCal fencers won seven medals at this year’s Junior Olympic Championships in Memphis, Tennessee, including three of the six gold medals that were handed out in the epee events. 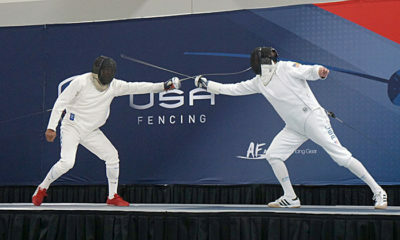 Stephen Ewart (Swords/Notre Dame) clinched the Junior Men’s Epee title on Saturday when he defeated number-1 ranked Junior Jonathan Piskovatskov in the finals. 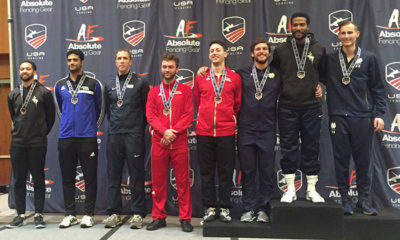 This is Stephen’s third gold medal from a national competition in just five months. Two days after winning the bronze in Cadet Women’s Epee, Claire Beddingfield (LAIFC) captured gold in the Junior event. Claire’s victory marks the third year in a row that the Junior Women’s Epee title went to an LAIFC fencer (Kasia Nixon won in 2016 and 2017). Last October, Claire brought home gold from the Cadet World Cup in Klagenfurt, Austria, beating number-1 seed Eszter Muhari of Hungary in the finals. 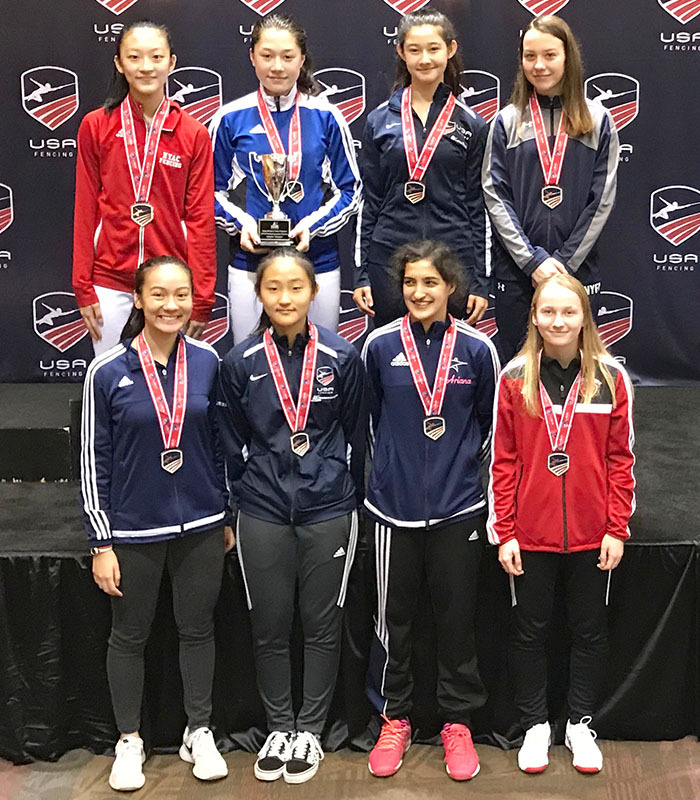 The third gold medal went to the LAIFC Women’s Epee Team, who trounced their opponents in every match by a margin of 13 points or more. Congratulations to all of our Junior Olympians! Cadet Women’s Epee medalists. 3rd place: Claire Beddingfield (top row, 3rd from left). 6th place: Irene Yeu (bottom row, 2nd from left).